Mastering the art of trading can take years of experience and a trained mind. In today’s volatile markets, mental resilience is the key to maintaining and improving trading performance. To a trader, books on trading psychology are either remarkable or redundant. They can be remarkable because you might just find the one concept that turns you into a profitable trader. The one concept that changes your trading career. It may not be the first time you read about the concept, but it is the first time it gets through to you. They can be redundant because for traders who already understand the right way to think as a trader, books on trading psychology seems like just repetitive common-sense. Trading psychology is a deeply personal issue. So I’ll leave you to decide which book speaks to you. 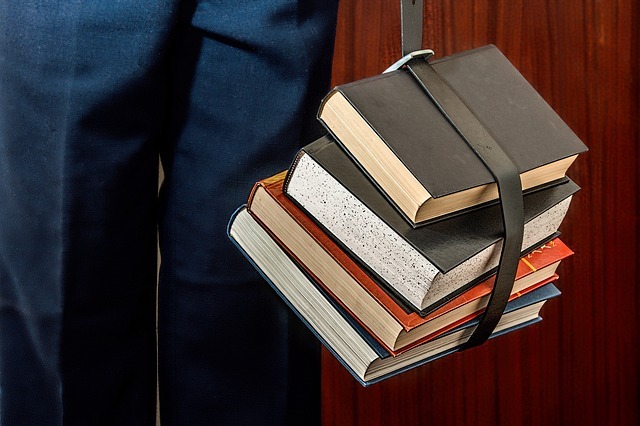 While you cannot change your psychology overnight, these 18 trading psychology books are useful for moving closer to the right trading mindset. In these books, you will find practical techniques you can get started right away. You will also uncover critical ideas that might turn your trading career around. Watch your trading results improve with a more confident trader’s mind. The power of the correct thought process is at the turn of every page in Mark Douglas’ book. He offers critical concepts for transforming the fear of losing into trading success. Mark Douglas wrote a classic trading psychology book without formal psychology training. Such a work is only possible because he wrote it from his own trading experience. A book like this makes an impact on your thinking. It has the potential to make you profitable with a shift in your mind. This is a book you must read before you place your next trade. Really like Mark Douglas’ ideas? The Disciplined Trader by Mark Douglas is yet another solid trading psychology book. He demonstrates the correct mental framework for trading through probabilistic thinking. If you don’t mind the repetitive writing style, The Disciplined Trader is the right book for you. To be fair, I think the ideas within deserve the repetition. This trading psychology book by Dr. Steenbarger underscores the effectiveness of daily reinforcement. To get the most mileage out of your trading experience, you should aim for a daily review. He gives clear coaching and homework assignments to drill in the concepts. The Daily Trading Coach gives you exactly what you need if you’re serious about improving your trading psychology, one step at a time. While we cannot afford a personal trading psychologist, this book gets close. Another hit by Dr. Brett Steenbarger, The Psychology of Trading is an all-in-one guide to the mental aspect of trading. This trading psychology book caters to the serious reader. Dr. Steenbarger describes real therapy cases and links them to traders and their emotions. Don’t miss this book if you are looking for a deep (and slightly academic) discussion of psychology for traders. You might also be interested in Dr. Brett Steenbarger’s latest book – Trading Psychology 2.0: From Best Practices to Best Processes. To attain trading excellence, what habits must you have? This book gives you 12 habits of successful traders. It is short, concise, and gives great guidance for developing good trading habits. If you don’t want to wade through thick trading psychology books and summarize your own notes, this book is for you. I’ve always enjoyed Martin Pring’s writing. It’s lucid and goes straight to the point. In Investment Psychology Explained, he offers a solid guide for all traders and investors. Pring dives deep into the both the psychology of the trader and that of the market herd. He emphasizes that there is no Holy Grail, which starts the trader off on a realistic path. Then, he shows you the right way to think contrary and classic rules that apply to all traders. While some traders may try to fix their psychology in one sweeping move, others focus on small steps. Steve Ward’s book is for at the latter group of traders. High Performance Trading helps by breaking the huge trading psychology project down into 35 concise parts. This book is well-organized into three sections that cover preparation, execution, and evaluation. It goes through a trader’s mind step-by-step, dealing with one problem at a time. This approach makes this trading psychology book highly practical. The title may be a mouthful, but this easy read is a practical guide for priming your mind to take on risk. Richard McCall helps traders with their psychology with a six-step plan based on the samurai code. Experienced traders often find that life and trading have much in common. This trading psychology book will reinforce that idea as it applies to not just trading, but risk-taking in general. John Hayden offers a list of trading truths, some of which are uncomfortable truths. One of them is the reminder that you, not the market, are responsible for your performance. When it comes to handling something as fuzzy as your mind, having a list of clearly defined items helps. The 21 Irrefutable Truths of Trading is a solid trading psychology book that illuminates the essential concepts for successful trading in any market. In Trading in the Zone, Dr. Kiev shares proven methods to enter and stay in the zone. He uses psychiatric tools to improve your everyday trading, regardless of your trading style. This book is compelling for anyone looking to control their emotions while trading. There are ample case studies of real traders dealing with the market and their emotions. As a trader, you are responsible for reviewing your own mistakes. This trading psychology book will definite help you with this arduous task. In these books, you will find first-hand accounts of real traders and the mental demons they faced. Less textbook theories, and more intriguing tales. Equally educational. Hedge Fund Market Wizards from Jack Schwager’s Market Wizard series extracts the best ideas from successful traders like Joel Greenblatt and Ray Dalio. With thoughtful questioning, this book uncovers the psychology of top traders. It includes 15 interviews with top fund managers and 40 distilled trading lessons. The Hedge Fund Market Wizards serves as a valuable book of inspiration for the every trader. Another book from Jack Schwager’s Market Wizards Series. Candid conversations with top traders are at once interesting and educational. Eliciting personal responses from usually guarded traders is tough. But Schwager achieved it in The New Market Wizards. The choice of traders is diverse. They include currency and futures traders, macro fund managers, and arbitrageurs. Some well-known names are Linda Bradford Raschke, Stanley Drukenmiller, and William Eckhardt. To get the most out of the book, don’t try to copy trading strategies. Instead, emulate their attitude towards the market and risk. While trading psychology is a constant theme, Part VII of the book focuses on it. Are you getting bored reading about psychological theories? How about an intriguing and instructive account about the Boy Plunger? Reminiscences of a Stock Operator is a riveting account of Jesse Livermore’s trading career which started more than a century ago. This book is still relevant today. It shows that the markets and the psychology traders face never really change. Told brilliantly by Edwin Lefèvre, this book is dubbed as a “font of investing wisdom” by Alan Greenspan. You will find gems of trading wisdom scattered all over. The lessons in this book are not unique. But they get to you much easier because of how it is told – through a great trader’s life. Big trading losses leave behind emotional scars. But they are also the most educational if you look back and learn from what happened. Jim Paul was a governor of the Chicago Mercantile Exchange before his tremendous loss. What I Learned Losing a Million Dollars brings you through his personal journey. The book shows what happens if you let your ego take over your trading, thinking that you will win every time. More than just a story, it reminds you of what (not) to do after a streak of home runs in the market. We speak as though trading psychology is a distinct topic. But in fact, trading psychology is just psychology. Trading is simply the context we are interested in here. The psyche of a trader and a poker player are strikingly similar. Don’t believe me? Take a look at some of the chapter headings in this book on poker. If you are both a poker player and a trader, this book is right down your alley. Even if you don’t play poker, this book helps you improve your trading with Zen principles. Daniel Kahneman is a giant in the field of making decisions under uncertainty. This means that he’s an expert at recognizing emotional and cognitive biases. Trading is all about making decisions under uncertainty. After reading this book, you realize how overconfident we are, how biased the world is, and how experts are not really experts. Unsettling, to say the least. What is most disturbing is that we will ignore most of what we read in the book, and carry on with our biased ways. The book explains why too. I always think that Stoics make good traders. Trading psychology is all about handling your emotions the right way. And for this, you can’t go wrong with the Stoic thinking contained in the letters. Whether you want to improve your trading psychology or explore a new approach to life, this book is for you. But of course, this is not a book on trading. You need to spend time to think of how to apply the Stoic ideas to your trading. It is a book of ideas, not a book of practical steps to take. To cut errors in trading, recognizing fallacies in our everyday life helps. Thomas Gilovich shows why biases occur due to cognitive, social and motivational processes. Becoming aware of how these biases arise is the first step to eliminating them. For the everyday trader, How We Know What Isn’t So can help you stop and think about your next trade, and of the biases that have crept into your trading process. Trading psychology books recommended by readers who want to help expand this list. Excellent books that escaped my radar. Day Trading With Price Action – A complete course that teaches you the art of price action trading. 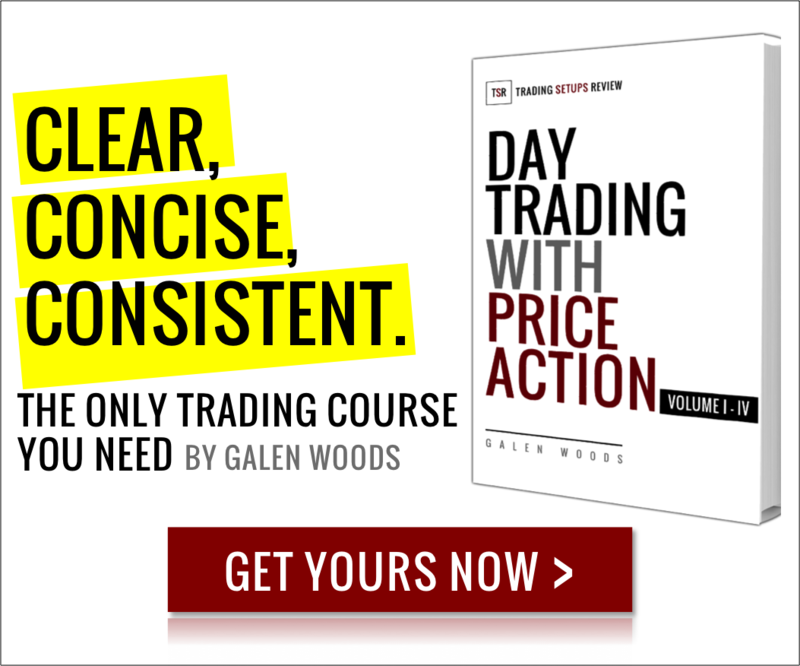 Perfectly structured with step-by-step guides to help you understand the principles of price action analysis. Great list. I also suggest reading The essence of trading psychology in one skill, by yvan byeajee. This is a great little book that condenses everything into, as the title suggests, one skill. Thank you for your suggestion! I’ve added the book to the list under readers’ recommendations. Hi Mehdi, thank you very much for the recommendation! I’ll update the article soon with your suggestion.